Ready for another parade, Philadelphia? ... the iconic sculpture — now colored red, green and purple — will make a grand tour of the city’s neighborhoods before finally landing at 16th and JFK, where it will be installed on its granite pedestal and again become one of the region’s most popular photo destinations. The city's Office of Arts and Culture already hinted at the parade in a tweet Tuesday, noting it would be the "second most exciting #PhillyParade" behind Thursday's Super Bowl parade for the Eagles. One week from today, celebrate the second most exciting #PhillyParade! 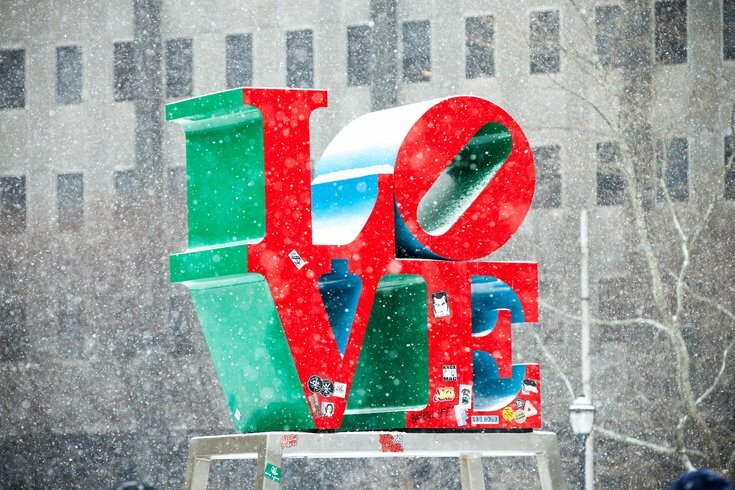 #LOVEontheMove will welcome the long-awaited return of the LOVE sculpture to @LOVE_Park just in time for #ValentinesDay. When Love Park reopened in November after nearly two years of renovations, the statue was absent. City officials said it would return sometime in early 2018, and it would be restored to its original color scheme of red, green and purple instead of the red, green and blue that most people are familiar with. More details on the parade are being released Friday, and we'll update this article accordingly.